This is likely not as bad as it sounds. The feds are going to dig in and fight the Solonex lease in the Badger-Two Medicine region. The Moncrief lease doesn’t even have a permit to drill and would require a huge battle just to get past that step. I’d guess the government made the pragmatic determination to concentrate their resources on the larger threat. If they win against Solonex, the Moncrief lease is probably toast, too. Anyway, here’s the write-up . . . 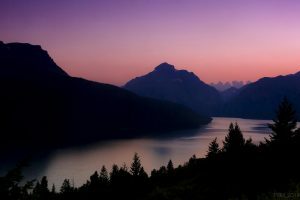 In a dramatic change of course, attorneys representing the U.S. Department of the Interior filed paperwork announcing they will not defend the cancellation of one of the last remaining oil and gas leases on the 130,000-acre Badger-Two Medicine, an area flanking Glacier National Park that holds cultural and ecological significance to members of the Blackfeet Nation. Former Interior Secretary Ryan Zinke, a Whitefish native, had previously said he would defend the lease cancellations. While members of the Blackfeet Nation expressed disappointment and frustration in the Interior’s decision not to fight an appeal by lease-owner W.A. Moncrief Jr, the Interior Department is expected to defend the cancellation of a second lease held by Solenex LLC of Baton Rouge, which is also being fought on appeal. Everyone can stop holding their collective breath. The feds are indeed going to fight reinstatement of oil and gas leases in the Badger-Two Medicine region . . .
Zinke said it would be inappropriate to allow drilling in northwestern Montana’s Badger-Two Medicine area, site of the creation story for the Blackfoot tribes. 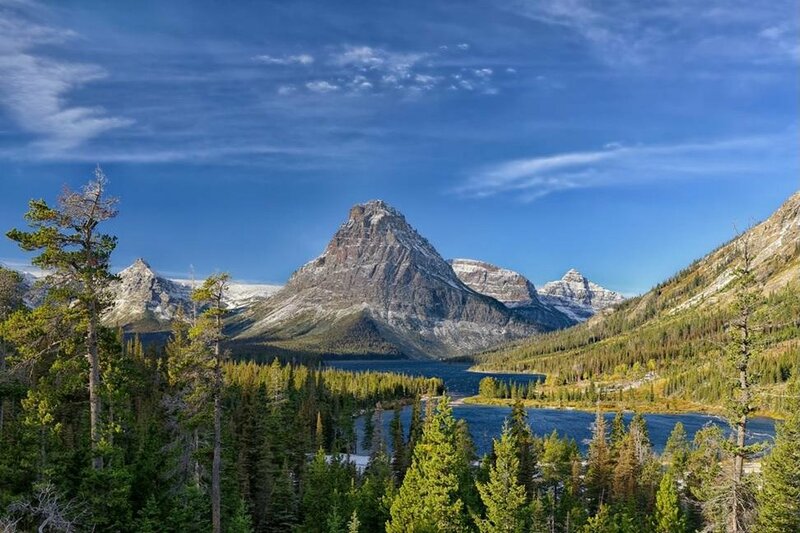 He’s asked government attorneys to appeal a September ruling that reinstated a nearly 10-square-mile (26-square-kilometer) oil and gas lease in the area bordering the Blackfeet Reservation and Glacier National Park. It’s spring and time for the next chapter of the legal dispute over the Solonex oil and gas lease in the Badger-Two Medicine region . . . The legal dispute over possible oil and gas drilling in the Badger-Two Medicine area advanced Wednesday. The case centers on a roughly 6,200-acre mineral lease there, held by Louisiana-based firm Solenex. The firm’s owner, Sidney Longwell, acquired the lease in 1982. But as he sought approval to drill, he drew greater opposition from enviornmental groups and the Blackfeet Nation, whose reservation abuts Badger-Two Medicine. In 2016, then-secretary of the Interior Sally Jewell concluded that the lease had been improperly issued and canceled it altogether. Solenex amended a lawsuit it already had pending against Jewell, claiming that she had acted improperly in that decision. In the hearing Wednesday, the sides presented their arguments for summary judgment before Judge Richard Leon in U.S. District Court for the District of Columbia. Here’s a bit more information on last Tuesday’s announcement of the cancellation of the last two oil and gas leases in the Badger-Two Medicine region . . . The U.S. Department of the Interior announced the Bureau of Land Management has canceled the final two oil and gas leases in the Badger-Two Medicine area within the Lewis and Clark National Forest in Northwest Montana. 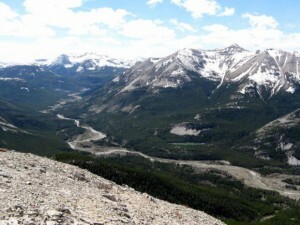 The two lease cancellations address outstanding concerns about the potential for oil and gas development in this culturally and ecologically important area. The cancellations come on the heels of U.S. officials cancelling other 15 oil and gas leases in the area. With 12 days left in the Obama administration, the Interior Department cancelled the remaining two oil and gas leases in the Badger-Two Medicine region . . . The two lease cancellations address outstanding concerns about the potential for oil and gas development in this culturally and ecologically important area. The cancellations come on the heels of U.S. officials cancelling another 15 oil and gas leases in the area. Devon Energy relinquished its 15 oil and gas leases in the Badger-Two Medicine region. All that’s left now is the ongoing battle with Solonex over their two leases . . .
U.S. officials cancelled 15 oil and gas leases on Wednesday in an area bordering Glacier National Park that’s considered sacred to the Blackfoot tribes of the U.S. and Canada. The cancellation was aimed at preserving the Badger-Two Medicine area, a largely-undeveloped, 130,000-acre wilderness that is the site of the creation story for members of Montana’s Blackfeet Nation and the Blackfoot tribes of Canada. Looks like more lease cancellations in the Badger-two Medicine region are likely . . .
Blackfeet tribal leaders, conservationists and cultural preservationists have made numerous pilgrimages to Washington, D.C. this year in hopes of furnishing permanent protections on the wild and sacred Badger-Two Medicine region, which for more than three decades has been threatened with industrialization. This week, their efforts are expected to pay off. Chief Earl Old Person and the Blackfeet Nation’s elected leadership arrived in the capital this week to underscore their long-standing request that federal land managers cancel a suite of remaining undeveloped oil and gas leases on the 130,000-acre Badger-Two Medicine, which lies on the Rocky Mountain Front, bounded on the north by Glacier National Park and the east by the Blackfeet Indian Reservation. Solonex makes the next move in its court fight over cancelled oil and gas leases in the Badger-Two Medicine region . . .
A Louisiana energy company is asking a federal judge to reverse the cancellation of a 33-year-old oil and gas lease on land considered sacred to the Blackfoot tribes of the U.S. and Canada. Solenex LLC of Baton Rouge filed court papers Monday seeking a judgment in the case that’s before U.S. District Judge Richard Leon in Washington, D.C. The 6,200-acre lease is in the Badger-Two Medicine area of the Lewis and Clark National Forest. It’s just outside Glacier National Park and the Blackfeet Indian Reservation. The Blackfeet are keeping up the pressure in the fight over drilling leases in the Badger-Two Medicine region . . . While a decades-long legal struggle over energy exploration in the Badger-Two Medicine revolves around its sacred nature to the Blackfeet Indians, it wasn’t until this week that the tribe officially asked to join the fight. Blackfeet tribal leaders joined several conservation groups in requesting intervener status in the case between Solenex LLC and the U.S. Department of the Interior before U.S. District Court Judge Richard Leon in Washington, D.C. Two months ago, Interior Secretary Sally Jewell accepted a recommendation from the U.S. Forest Service to cancel Solenex’s drilling leases on 6,200 acres of public land just south of the Blackfeet Indian Reservation. Solenex asked Leon to overrule the decision and reinstate the leases.